As Karneval continues there has been much rummaging around in cupboards and boxes to find the components of ever more fanciful costumes. 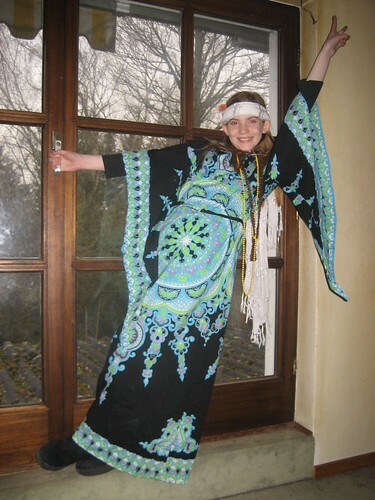 My youngest daughter has unearthed a fabulous original 1970s kaftan which used to belong to my Mother. So now she’s a groovy hippy. Far out man! I seem to have acquired a new cat temporarily! OK. So I’m weird. I have six cats. 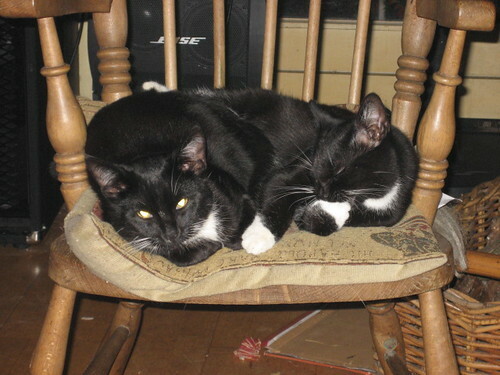 Here are a couple of them – the dinner-suit boys. Well this morning I suddenly found this in my kitchen. 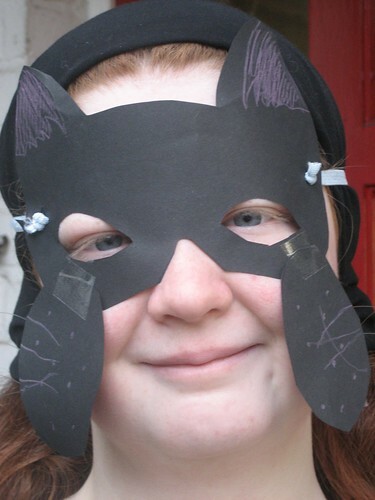 It seems that my eldest daughter is going to Karneval as a black and white cat. Tomorrow is the start of Karneval in Germany. It will all start at exactly eleven minutes past eleven. On the dot. If you are an unsuspecting male visitor here in the Rhineland, the first you’ll know about it is when a horde of middle aged women in coloured wigs and clown noses descends on you wielding scissors. They will then cut off your tie. Possibly your shoelaces as well. Laugh about it (even if it was an expensive tie). You see, tomorrow is Altweiberfastnacht… “ladies’ day” if you’re being polite… or “old crones’ day” if you’re not. Don’t worry… they’re only emasculating you. Have a beer and lament your lost manhood. The Altweiber will not detain you once you’ve lost your gender-symbol. They’ll continue on their way to the Rathaus, where they will force entry, storm the mayor’s office and eject him (also minus his manhood) until next Tuesday, installing their Karneval Prince in his place. The lunatics have taken over the asylum. Don’t panic. Have another beer. Karneval is the start of five days of mad excessive celebration. Everyone on the streets, in the bars and in shops and businesses will be wearing fancy dress and drinking to excess. Half of the population throws themselves into the madness… and the other half flees the cities, either barricading themselves into their homes for five days, or heading for the airport to escape. 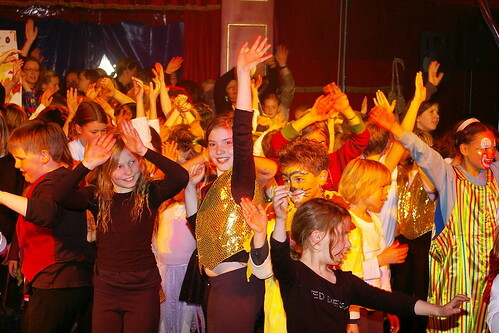 School children particularly love Karneval. They go to school in fancy dress and spend their time partying and spraying each other with silly string. Well it’s more fun than doing sums. The older ones leave school at eleven minutes past eleven and hit the town with the rest of the adult population… arriving home late afternoon, trying to disguise their underage drunkenness as youthful exuberence. It usually works. Their parents have been dressed as clowns and drinking beer since before midday too. The question is whether to hide, or whether to join in the madness….